Move Right In! 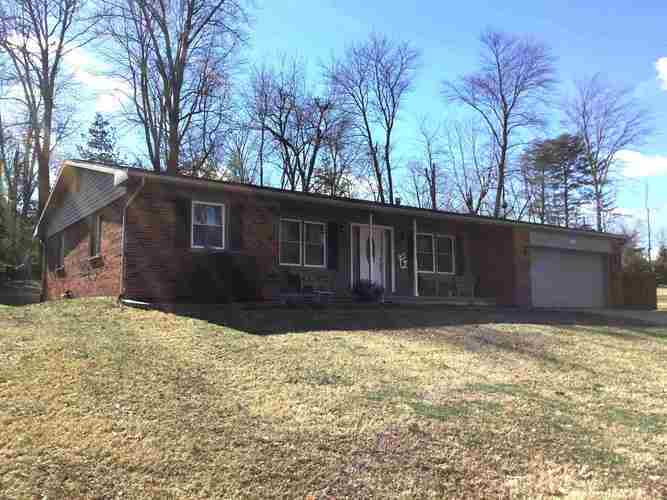 Adorable 3 BR, 2 BA brick ranch on a large lot in Gourley Place. You will take great pleasure in all of the updates made to this home including new windows & doors, new HVAC system, SS appliances 2 yrs old, newer kitchen counters, new carpeting and remodeled bathrooms. Roof only 8 yrs old. The covered front porch is so inviting! The new front door opens to a foyer with a coat closet and to your right is a nice living room with double doors. The dining room boasts a large opening to the kitchen and family room which are all open to one another. The kitchen features a breakfast bar with bar stool seating, built-in wine rack and spice rack, and a window above the sink. Useful laundry facility with ample storage-washer/dryer included. Wood burning fireplace in the family room and glass doors with built-in blinds open to the back patio. Hall bath updated with pretty tile flooring, decorative tiled tub surround and new vanity. Master bed has a walk-in closet and updated bathroom with doorless, tiled shower. Pretty back yard with trees, a patio, storage building, and additional fenced patio area. Seller providing a $525 AHS home warranty.